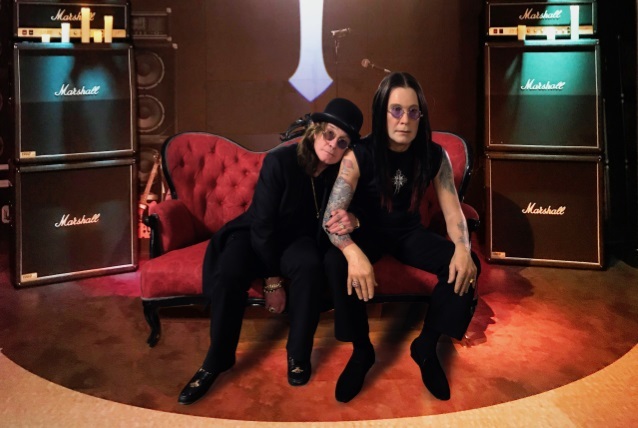 Music legend and rock icon Ozzy Osbourne will now have a presence in Music City as his figure takes its place, for a limited time, inside the Madame Tussauds Nashville attraction. In honor of the visit to Nashville, the Ozzy Osbourne figure was re-styled by Kelly Osbourne, British singer-songwriter, actress, television presenter, fashion designer, and daughter of Ozzy and Sharon Osbourne. The figure is dressed to match Ozzy's iconic style, including a deep purple blazer, black pants with statement pirate button, plush black pirate slipper shoes, and of course, his trademark classic round tinted shades. Ozzy was honored that his figure was chosen to be featured in the only music themed Madame Tussauds in the world. Ozzy had not seen his figure since 2010 when he was promoting his new "Scream" album in the New York Madame Tussauds. Upon seeing the newly styled figure in Nashville, Ozzy had this to say: "It's incredible, like looking in a mirror. My tattoos look so real. I look great!" Fans can see the Ozzy Osbourne figure seated comfortably on a lush gothic sofa in the attractions Rock Bar themed room that was specifically redecorated to honor the Prince of Darkness. When fans approach the area, a special message from Ozzy will echo in the space and a vintage jukebox will be on hand with several Ozzy hits for the guests to rock out to. Fans may purchase a limited-time Premium Goo Goo Cluster treat, inspired by Ozzy called "The Brit." The Goo Goo treat has a British flair and consists of English toffee, a banana cream middle and shortbread. Madame Tussauds figure is a work of art, involving teams of professional artists and sculptors who spend months on extensive research and take more than 300 measurements to recreate world-famous icons, to achieve the kind of astonishing realism that has been at the heart of the 250-year Madame Tussauds legacy. Additional figures featured at Madame Tussauds Nashville include Alan Jackson, Beyoncé, Blake Shelton, Bob Dylan, Bruce Springsteen, Carrie Underwood, Darius Rucker, Elvis Presley, George Jones, George Strait, Jason Aldean, Jerry Lee Lewis, Johnny Cash, Katy Perry, Keith Urban, Kid Rock, Luke Bryan, Miley Cyrus, Muddy Waters, Patsy Cline, Randy Travis, Reba McEntire, Stevie Wonder, Taylor Swift, Tim McGraw and Faith Hill, among others. Fans interested in visiting the Ozzy Osbourne figure at Madame Tussauds Nashville may purchase discounted tickets at this location.